Team Daugherty is looking for skilled Software Engineers and Architects to add to our growing team in Minneapolis. At a lot of organizations, it's hard to stand out in a sea of developers. Everyone is working on the same projects; creating and testing as fast and efficiently as humanly possible. Don’t get lost in the crowd. 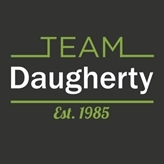 Team Daugherty offers Engineers the opportunity to work on something different, something impactful. From one project to the next, Engineers at Daugherty are constantly creating and implementing solutions for our clients, and no two client projects are the same. ALL projects give you the unique opportunity to showcase your skills! Designing, developing an application that changes the way consumers track farm to table. Designing, developing an application that changes the way vacationers check in for their cruise. Understanding and implementing complex business functionality by selecting and maintaining the right technology stack. Operating as part of an Agile team. Exceeding enterprise standards for quality and process. Experienced Software Engineer: Do you know one language or five? Are you Front End, Back End, Full Stack, Mobile? Commitment to providing the client innovative solutions. Dedicated to sharing your knowledge and growing your tech community. Unlimited Training & Career Growth, and we mean it: Pluralsight, Safari Library, Conferences, Certifications, Lunch & Learns, etc. Full time Employment - not only do we support our clients, but we grow our company. We provide a multitude of training opportunities, from Hackathons, Lunch and Learns, free access to Plural Site and Safari Library. You will get to work with some of the most innovative teams in the IT marketplace and solve real strategic problems. We will invest in things that are important to you both professionally and personally. We will build a relationship with you to accelerate your Career. We provide some of the best benefits around.